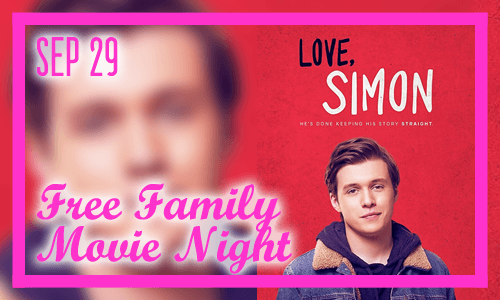 Boston Pride presents a new event, Family Movie Night at Faneuil Hall Marketplace — featuring the screening of “Love, Simon“. The event will be held on the West End of Faneuil Hall Marketplace, starting at 6:30pm on Saturday, September 29. This event is free. Thank you to the Marketplace for hosting this Pride event! Here is a quick synopsis for “Love, Simon”: Simon Spier keeps a huge secret from his family, his friends, and all of his classmates: he’s gay. When that secret is threatened, Simon must face everyone and come to terms with his identity. This event is free and open to the public.